Law Web: Whether it is permissible to add accused as per S 319 of CRPC in prosecution for dishonour of cheque? Whether it is permissible to add accused as per S 319 of CRPC in prosecution for dishonour of cheque? By the nature of the offence Under Section 138 of THE ACT, the first ingredient constituting the offence is the fact that a person drew a cheque. 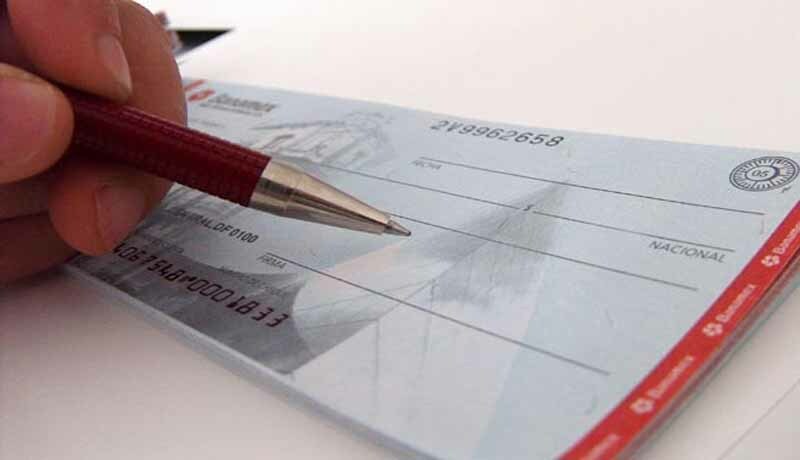 The identity of the drawer of the cheque is necessarily required to be known to the complainant (payee) and needs investigation and would not normally be in dispute unless the person who is alleged to have drawn a cheque disputes that very fact. The other facts required to be proved for securing the punishment of the person who drew a cheque that eventually got dishonoured is that the payee of the cheque did in fact comply with each one of the steps contemplated Under Section 138 of THE ACT before initiating prosecution. Because it is already held by this Court that failure to comply with any one of the steps contemplated Under Section 138 would not provide "cause of action for prosecution". Therefore, in the context of a prosecution Under Section 138, the concept of taking cognizance of the offence but not the offender is not appropriate. Unless the complaint contains all the necessary factual allegations constituting each of the ingredients of the offence Under Section 138, the Court cannot take cognizance of the offence. Disclosure of the name of the person drawing the cheque is one of the factual allegations which a complaint is required to contain. Otherwise in the absence of any authority of law to investigate the offence Under Section 138, there would be no person against whom a Court can proceed. There cannot be a prosecution without an Accused. The offence Under Section 138 is person specific. Therefore, the Parliament declared Under Section 142 that the provisions dealing with taking cognizance contained in the Code of Criminal Procedure should give way to the procedure prescribed Under Section 142. Hence the opening of non-obstante Clause Under Section 142. It must also be remembered that Section 142 does not either contemplate a report to the police or authorise the Court taking cognizance to direct the police to investigate into the complaint. Jasti Chelameswar and S. Abdul Nazeer, JJ. 2. M/s. Norton Granites & Spinners (P) Ltd. (hereafter NORTON) sold three parcels of land by three separate registered sale deeds dated 14.5.2007 to one M/s. Srivari Exports, a partnership firm (hereafter FIRM). The Appellant herein is the managing partner of the FIRM and the Respondent, it appears, is the power of attorney holder for the managing director of NORTON. It appears from the record that the Appellant is also a director of a company known as M/s. Dakshin Granites Pvt. Ltd. (hereafter DAKSHIN). 3. The Respondent herein filed a complaint on 08.10.2012 bearing CC No. 2925 of 2012 on the file of the VII Metropolitan Magistrate, George Town at Chennai against the Appellant herein invoking Sections 138 and 142 of the Negotiable Instruments Act, 1881 (hereinafter referred to as "THE ACT"). The substance of the complaint is that the Appellant herein drew a cheque bearing No. 064159 dated 10.8.2012 for a sum of Rs. 39 lakhs (Rs. 39,00,000/-) on the Syndicate Bank, Armenian Street, Chennai in favour of the Respondent. According to the complaint, the said amount of Rs. 39 lakhs is the amount due from the Appellant towards the balance of the sale consideration in connection with the sale transactions referred to above. 4. The said cheque was presented for collection by the Respondent through his bank (Indian Bank, High Court Branch, Chennai) on 28.8.2012 which was dishonoured on the ground that the account on which the cheque was drawn had been closed. 5. On 10.9.2012, the Respondent issued a notice contemplated under Clause (b) of the proviso to Section 138 of THE ACT. By the said notice, the Appellant was informed that the cheque had been dishonored and further the Appellant was called upon to pay the sum of Rs. 39 lakhs within 15 days from the date of the receipt of the notice. According to the complaint, the notice was served on the Petitioner on 14.9.2012 but the Petitioner neither responded to the notice nor made the payment. Hence the complaint. 3. In the above circumstances, it is therefore prayed that this Hon'ble Court may be pleased to implead M/s. DAKSHIN GRANITES PVT. LTD., No. 3B, EEBROS Centre, 40, Montieth Road, Chennai - 600 008 as Accused A1, in C.C. No. 2925 of 2012 pending on the file of this Hon'ble Court and thus render justice. 7. According to the said application, it came to the notice of the Respondent during the course of cross-examination of the Appellant herein at the trial of the CC No. 2925 of 2012 that the cheque in question was drawn on the account of DAKSHIN and the Appellant is only a signatory on behalf of the DAKSHIN in his capacity as a Director of DAKSHIN. The Respondent had initially failed to lodge the complaint against DAKSHIN by inadvertence and hence the application. 8. The application was contested by the Appellant. The learned Metropolitan Magistrate by his Order dated 21.4.2016 allowed the said application. The Petitioner carried the matter in Criminal R.C. No. 774 of 2016 to the Madras High Court unsuccessfully. Hence the instant SLP. 9. Xerox copies of the three sale deeds are placed before us and according to the said documents, the sale consideration for the three sale deeds is Rs. 2,80,000/-, Rs. 2,50,000/- and Rs. 1,20,000/-, in all Rs. 6,50,000/-. Nonetheless, the Respondent filed the complaint stating that the cheque in question for Rs. 39 lakhs was drawn towards the balance of the sale consideration of the transactions covered by the above-mentioned three sale deeds. Prima facie, it is very doubtful whether the cheque was drawn for any amount which is legally due to the Respondent from the Appellant. 10. A xerox copy of the cheque is placed before us. The number of the account on which the cheque was drawn is not very clear from the said copy. But from the content of the application from out of which the instant appeal arises and from the xerox copy of the cheque it appears that it was drawn on the account of DAKSHIN by somebody who claims to be a Director of DAKSHIN. It is a case of the Respondent that the cheque was signed by the Appellant. There appears to be some dispute regarding the identity of the person who signed the cheque. It can be seen from para 2 of the complaint, the said cheque was handed over to the Respondent through "an unknown person at Chennai High Court premises". 11. Assuming for the sake of argument that an amount of Rs. 39 lakhs was due towards the balance of the sale consideration of the above-mentioned three sales from the FIRM of which the Appellant is said to be the Managing Partner. The cheque in question was drawn by a private company (DAKSHIN) (a third party to the sale transactions and such a payment is permissible under the Indian Contract Act) and allegedly signed by the Appellant in his capacity as the Director of DAKSHIN. (a) Since the cheque in question was drawn on the account of DAKSHIN, the person primarily liable for punishment Under Section 138 of THE ACT would be DAKSHIN. The Appellant herein being the alleged signatory in his capacity as the Director of DAKSHIN would only be vicariously liable (if at all) for the offence committed by DAKSHIN. In view of the law declared by this Court in Aneeta Hada1 the prosecution against the Appellant could not be successfully maintained without prosecuting DAKSHIN. Since the complaint was originally lodged only against the Appellant, the Respondent resorted to the device of filing an application on 19.8.2015 Under Section 319 Code of Criminal Procedure to 'implead' (in substance summon) DAKSHIN as an Accused/Respondent to the complaint. (b) Section 142(1)(a) of THE ACT inter alia stipulates that a complaint regarding the commission of the offence Under Section 138 must be "made within one month of the date on which the cause of action arises under Clause (c) of the proviso to Section 138". The application Under Section 319 of Code of Criminal Procedure by which DAKSHIN is sought to be impleaded (summoned) is in substance a complaint against DAKSHIN which is filed some three years after the expiry of the period of 15 days stipulated under Clause (c) of the proviso to Section 138. Therefore barred by the stipulation contained in Section 141(1)(b) of THE ACT. No valid explanation for condoning such a long delay is offered by the Respondent. Both the courts below erred in coming to the conclusion that once the offence is taken cognizance of, the question of delay does not arise. (d) The (instant) application Under Section 319 Code of Criminal Procedure came to be filed (on 19.08.2015) some three years after the dishonour of the cheque by the bank (on 30.8.2012). If the Respondent were to file complaint Under Section 138 against DAKSHIN on 19.8.2015, such a complaint would be clearly not maintainable as it would have been far beyond the permissible time within which a complaint could have been filed Under Section 138 of THE ACT. Therefore, both the courts below erred in allowing the application. 13. On the other hand, the learned Counsel for the Respondent submitted that the trial court and the High Court rightly impleaded the Appellant. The learned Counsel submitted that the proviso to Clause (b) of Section 142 of THE ACT enables the Court to take cognizance of the offence even beyond the prescribed period of limitation, if the complainant satisfies the Court that he had sufficient cause for not making the complaint within the period of limitation. The Respondent only got to know that the cheque in question was drawn on the account of DAKSHIN only during the course of trial. Therefore, the Respondent made out a case for condonation of the delay. Hence whether cheque was drawn by company trial on the complaint can be possible only if company is impleaded in complaint. Hence as far as this case on hand, without impleading Dakshin Granite (P) Ltd. trial can not be conducted for impleading the company and conditions as per Section 138 should be fulfilled. As per Section 138 Notice has been sent to Dakshin Granites - hence conditions fulfilled. It is prayed by complainant that he should be permitted to implead company and also condone the delay. As per Section 142, complaint is to be filed with one month which has been done. Hence as per Section 142(b) no separate petition is required after cognizance of offence. The offenders of crime can be decided. To take cognisance it is not required to take cognizance in the case of each Accused. In view of the above the petition is allowed and I order for impleading the company and summons to be served. In this case, the present revision is preferred only against the order passed in Crl.M.P. No. 6771 of 2015 in C.C. No. 2925 of 2012, which was filed to implead M/s. Dakshin Granites Private Ltd., as an Accused in the private complaint and no appeal or revision was preferred against the order passed in Crl.M.P. No. 1257 of 2016 by either side. 16. We say it is an interesting finding because from the translation of the trial court's order placed before us, the trial court is silent about the application for condonation of the delay. On the other hand, the trial court observed "Hence as per Section 142(b) no separate petition is required after cognizance of offence." ...The Trial Court, after considering the arguments of both sides, came to a conclusion that since the case was already taken on file and cognizance of the offence was taken, in this case, separate petition to condone the delay of 1211 days is not necessary and M/s. Dakshin Granites Private Ltd. was impleaded as an Accused. Admittedly, statutory notice Under Section 138(b) of the Negotiable Instruments Act was issued to M/s. Dakshin Granites Private Ltd., and M/s. Dakshin Granites Private Ltd., has not preferred any revision before this Court. Hence, the present Petitioner is only the signatory. Even according to the present Petitioner, who is an individual person and who signed the cheque represents the company. The High Court, concluded that as no revision is filed by DAKSHIN the "revision preferred by the Petitioner is not maintainable. No merits in the petition." 17. We are of the opinion that it is difficult to understand the conclusions recorded by both the courts below. They are wholly illogical, to use a very mild expression. 19. The preliminary facts constituting an offence5 Under Section 138 of the Act are; (i) that a cheque is drawn, and (ii) that cheque is dishonored by the Bank when presented by the payee. Under the scheme of Section 138 both the drawer of the cheque and the bank upon which the cheque is drawn are parties against whom the payee of the cheque can have various legal rights, which may have either civil or criminal consequences or perhaps both depending upon the facts of a given case. Section 138 prescribes only one of the consequences, i.e. the prosecution and punishment of only the drawer of the cheque. It is possible in a given case that a bank may without any valid justification decline to honor a cheque drawn on it. For which act of the bank, the drawer of the cheque may in no way be responsible either in fact or in law. In such a fact situation, the payee of the cheque may have legal rights and remedies for the redressal of the injury (if any) caused by the Bank in addition to his rights against the drawer of the cheque. Yet the High Court reached a conclusion that the revision filed by the Petitioner is not maintainable because DAKSHIN did not choose to challenge the trial court's order. The High Court failed to appreciate that the liability of the Appellant (if any in the context of the facts of the present case) is only statutory because of his legal status as the DIRECTOR of DAKSHIN. Every person signing a cheque on behalf of a company on whose account a cheque is drawn does not become the drawer of the cheque. Such a signatory is only a person duly authorised to sign the cheque on behalf of the company/drawer of the cheque. If DAKSHIN/drawer of the cheque is sought to be summoned for being tried for an offence Under Section 138 of THE ACT beyond the period of limitation prescribed under THE ACT, the Appellant cannot be told in view of the law declared by this Court in Aneeta Hada that he can make no grievance of that fact on the ground that DAKSHIN did not make any grievance of such summoning. It is always open to DAKSHIN to raise the defense that the initiation of prosecution against it is barred by limitation. DAKSHIN need not necessarily challenge the summoning order. It can raise such a defense in the course of trial. Such a statement of law was made by this Court in the background of the scheme of the Code of Criminal Procedure. 22. The Code of Criminal Procedure is an enactment which is designed to regulate the procedures governing the investigation of crimes in order to get the perpetrators of the crime punished. A crime is an act or omission prohibited by law attracting certain legal consequences like imprisonment, fine etc. Obviously, acts or omissions constituting offences/crimes are capable of being committed only by persons either natural or juridical. The Code of Criminal Procedure imposes a duty on the investigating agencies to gather evidence necessary to establish the occurrence of a crime and to trace out the perpetrators of the crime in order to get them punished. Punishment can be inflicted only by a competent Court but not by the investigating agency. Courts are authorised to inflict punishment if only they are satisfied that the evidence gathered by the investigating agency is sufficient to establish that (1) a crime had been committed; and (2) the persons charged with the offence (Accused) and brought before the Court by the investigating agency for trial are the perpetrators of the crime. Whether any offence appears to have been committed and if so by whom? The conclusions reached by the police after investigation into the above two questions are required to be scrutinized by a competent Court. It is only after the Court is satisfied that the evidence collected by the investigating agency is sufficient in law to punish the Accused, such Accused can be punished. Taking cognizance of an offence by the Court is one of the initial steps in the process. Thereafter, the investigating agency is required to collect evidence (investigate) and place the same before the Court Under Section 173 Code of Criminal Procedure. 23. The scheme of the prosecution in punishing Under Section 138 of THE ACT is different from the scheme of the Code of Criminal Procedure. Section 138 creates an offence and prescribes punishment. No procedure for the investigation of the offence is contemplated. The prosecution is initiated on the basis of a written complaint made by the payee of a cheque. Obviously such complaints must contain the factual allegations constituting each of the ingredients of the offence Under Section 138. Those ingredients are: (1) that a person drew a cheque on an account maintained by him with the banker; (2) that such a cheque when presented to the bank is returned by the bank unpaid; (3) that such a cheque was presented to the bank within a period of six months from the date it was drawn or within the period of its validity whichever is earlier; (4) that the payee demanded in writing from the drawer of the cheque the payment of the amount of money due under the cheque to payee; and (5) such a notice of payment is made within a period of 30 days from the date of the receipt of the information by the payee from the bank regarding the return of the cheque as unpaid. It is obvious from the scheme of Section 138 that each one of the ingredients flows from a document which evidences the existence of such an ingredient. The only other ingredient which is required to be proved to establish the commission of an offence Under Section 138 is that inspite of the demand notice referred to above, the drawer of the cheque failed to make the payment within a period of 15 days from the date of the receipt of the demand. A fact which the complainant can only assert but not prove, the burden would essentially be on the drawer of the cheque to prove that he had in fact made the payment pursuant to the demand. 24. By the nature of the offence Under Section 138 of THE ACT, the first ingredient constituting the offence is the fact that a person drew a cheque. The identity of the drawer of the cheque is necessarily required to be known to the complainant (payee) and needs investigation and would not normally be in dispute unless the person who is alleged to have drawn a cheque disputes that very fact. The other facts required to be proved for securing the punishment of the person who drew a cheque that eventually got dishonoured is that the payee of the cheque did in fact comply with each one of the steps contemplated Under Section 138 of THE ACT before initiating prosecution. Because it is already held by this Court that failure to comply with any one of the steps contemplated Under Section 138 would not provide "cause of action for prosecution". Therefore, in the context of a prosecution Under Section 138, the concept of taking cognizance of the offence but not the offender is not appropriate. Unless the complaint contains all the necessary factual allegations constituting each of the ingredients of the offence Under Section 138, the Court cannot take cognizance of the offence. Disclosure of the name of the person drawing the cheque is one of the factual allegations which a complaint is required to contain. Otherwise in the absence of any authority of law to investigate the offence Under Section 138, there would be no person against whom a Court can proceed. There cannot be a prosecution without an Accused. The offence Under Section 138 is person specific. Therefore, the Parliament declared Under Section 142 that the provisions dealing with taking cognizance contained in the Code of Criminal Procedure should give way to the procedure prescribed Under Section 142. Hence the opening of non-obstante Clause Under Section 142. It must also be remembered that Section 142 does not either contemplate a report to the police or authorise the Court taking cognizance to direct the police to investigate into the complaint. 25. The question whether the Respondent had sufficient cause for not filing the complaint against DAKSHIN within the period prescribed under THE ACT is not examined by either of the courts below. As rightly pointed out, the application, which is the subject matter of the instant appeal purportedly filed invoking Section 319 Code of Criminal Procedure, is only a device by which the Respondent seeks to initiate prosecution against DAKSHIN beyond the period of limitation stipulated under the Act. 26. No doubt Section 142 authorises the Court to condone the delay in appropriate cases. We find no reason to condone the delay. The justification advanced by the Respondent that it is during the course of the trial, the Respondent realized that the cheque in question was drawn on the account of DAKSHIN is a manifestly false statement. On the face of the cheque, it is clear that it was drawn on account of DAKSHIN. Admittedly the Respondent issued a notice contemplated under Clause (b) of the proviso to Section 138 to DAKSHIN. The fact is recorded by the High Court. The relevant portion is already extracted in para 16. 27. The judgment under appeal is contrary to the language of THE ACT as expounded by this Court in Aneeta Hada (supra) and, therefore, cannot be sustained. The judgment is, accordingly, set aside. The appeal is allowed. In the circumstances, the costs is quantified at Rs. 1,00,000/- (Rupees One Lakh Only). Explanation.- For the purposes of this section, "debt or other liability" means a legally enforceable debt or other liability. 14....There is good authority to support the proposition that once the complainant, the payee of the cheque, issues notice to the drawer of the cheque, the cause of action to file a complaint arises on the expiry of the period prescribed for payment by the drawer of the cheque. If he does not file a complaint within one month of the date on which the cause of action arises under Clause (c) of the proviso to Section 138 of the Act, his complaint gets barred by time. 4We are not informed whether it is an official translation by either of the courts below or any one of the learned counsel who appeared in the case or by the parties. 5However, this Court in MSR Leathers v. S. Palaniappan and Anr., MANU/SC/0797/2012 : (2013) 1 SCC 177 held; 10. Proviso to Section 138, however, is all important and stipulates three distinct conditions precedent, which must be satisfied before the dishonour of a cheque can constitute an offence and become punishable. The first condition is that the cheque ought to have been presented to the bank within a period of six months from the date on which it is drawn or within the period of its validity, whichever is earlier. The second condition is that the payee or the holder in due course of the cheque, as the case may be, ought to make a demand for the payment of the said amount of money by giving a notice in writing, to the drawer of the cheque, within thirty days of the receipt of information by him from the bank regarding the return of the cheque as unpaid. The third condition is that the drawer of such a cheque should have failed to make payment of the said amount of money to the payee or as the case may be, to the holder in due course of the cheque within fifteen days of the receipt of the said notice. It is only upon the satisfaction of all the three conditions mentioned above and enumerated under the proviso to Section 138 as clauses (a), (b) and (c) thereof that an offence Under Section 138 can be said to have been committed by the person issuing the cheque.